Wow! That silver looks amazing and non-streaky. Is it streaky in real life or does it really look that good? If it does I think I'll need to add yet another silver to my collection. it does look great on her! so pretty. the color looks so solid, it's almost like a foil :) gotta have that soon. thanks for sharing! I WANT THAT NAIL POLISH!!! WHERE DID YOU GET IT! :D love it! 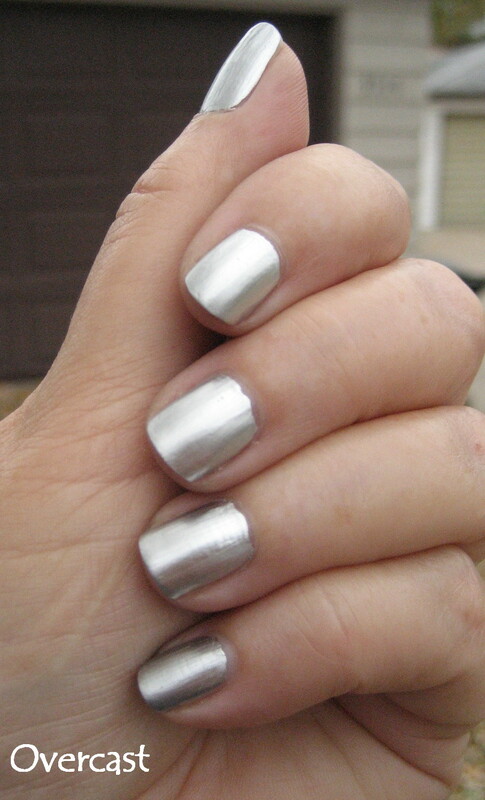 Love the sterling silver look. Very exciting look. Fingers dipped in silver!